It isn’t the first danger most people consider when boarding a boat. After all, there’s a touch of irony in the threat of fire when surrounded by water. 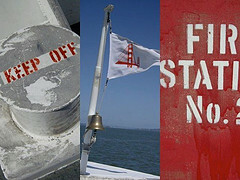 Still, our San Francisco boating accident attorney knows that boating fires are a very real danger. Fires, fuel and non-fuel-related, were listed by the United States Coast Guard as the primary cause of 264 boating accidents in 2012 , leading to 5 deaths, 99 injuries, and more than $12 million in property damage (see Recreational Boating Statistics 2012, Table 16). When boating fires occur in the waters of Northern California because someone was negligent (for example, an owner, operator, manufacturer, or maintenance provider), we can help victims file personal injury and wrongful death claims and recover critical money damages. Eight people, five adults and three children, learned about the potential for boating fires firsthand following a Saturday afternoon boat fire off the Tiburon coast. According to KGO-TV ABC7, the owner of a 35-foot fiber glass motor boat noticed smoke about an hour after departing from San Rafael’s Loch Lomond Marina. He alerted the Coast Guard and was told to have everyone don life jackets, jump into the water, and wait for help. The owner fired off flares to get the attention of nearby vessels. While no one spotted the first two flares, a pleasure craft responded to the third and pulled all eight individuals out of the water. Luckily, the riders were rescued after only five minutes in the water and no one was hurt. A boat from the Tiburon Fire Department arrived and extinguished the blaze. Officials noted they could not have boarded the motor boat due to the dangerous conditions. Firefighters on scene heard two explosions, possibly a result of exploding gas tanks. Officials plan to use air bags to flip the vessel and extract it from the water. BoatUS, the Boat Owners Association of the United States, provides insurance, lobbying support, and information to the recreational boating community. The group produces Seaworthy, a report that examines insurance claims to find out how future accidents can be prevented. A Seaworthy article titled “Why Boats Catch Fire,” notes that boating fires carry a particular risk since, unlike with a house fire, you can’t escape by running across the street. Escaping requires going overboard (which isn’t always as simple as it was in the recent Tiburon-area event). Responding to an onboard fire, per BoatUS, often means violating the group’s top two rules of boating: 1) Keep water outside the vessel and 2) Stay with the vessel. Looking at fire-related marine insurance claims, BoatUS concludes the top three causes of fires that start on-board are: 1) Wiring and appliance issues, including AC and DC systems (55%); 2) Overheated engines/transmissions (24%); 3) Fuel leaks (8%). Our Northern California boating injury law firm in Petaluma, Oakland, San Francisco, and Campbell represents people who’ve been injured or lost a loved one in a boating fire caused by someone else’s negligence. At-fault parties may include, but are not limited to, manufacturers who sell shoddy products, repair workers who cut corners, and rental companies that rent dangerous vessels or fail to supply required fire safety equipment. Call to arrange a free consultation.